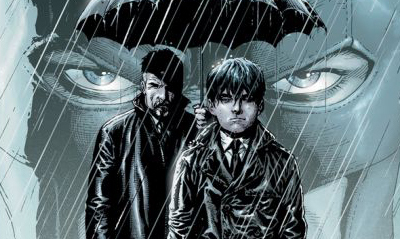 For the second month in a row Geoff Johns and Gary Franks’ Batman: Earth One topped the graphic novel charts. However when it came to the world of comics for August 2012, things weren't so cut and dry. While DC Entertainment bet rivals Marvel in terms of dollar share, the House of Ideas won out in the unit share stakes, by just .06%. 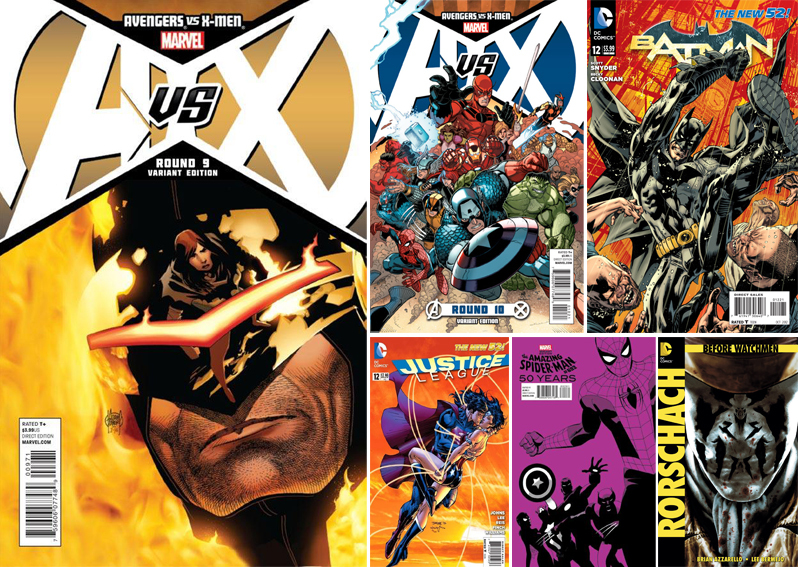 MY THOUGHTS: If things are dead even during AvsX, it's will be interesting to see where things go during the events' successor Marvel NOW! I'm betting DC's next batch of titles will be a complete A-list of creators and concepts. A new Justice League of America title has already been announced as one, hopefully we will hear of others soon. 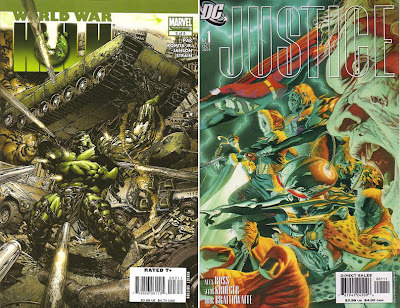 In August 2003, World War Hulk #3 continued the Green Goliath's David Finch covered rampage, while in August 2005, the highly essential DC story/maxi-series Justice, starring the work of painter Alex Ross, launched with #1. Full August 2012 stats after the jump. What do you think? I need to go pick up Justice. I think, someday, I will have an entire room just dedicated to artwork by Alex Ross. What's with the pink cover on Amazing Spiderman? Are they going for retro-chic? I love the silhouette images in the background, that's really cool, but then I stop and shake my head. Pink? Or is that some kind of Magenta? I love it when the two big guys are in close contention. I think it makes them better. You can almost see the editors circling eachother, wondering which one will be the first to break out with the best, most shocking, most historic storyline to date. Of course, doing this without ticking off the readers is like walking a tightrope over a pool of sharks surrounded by spikey things. But hey, at least they get to work in comics. 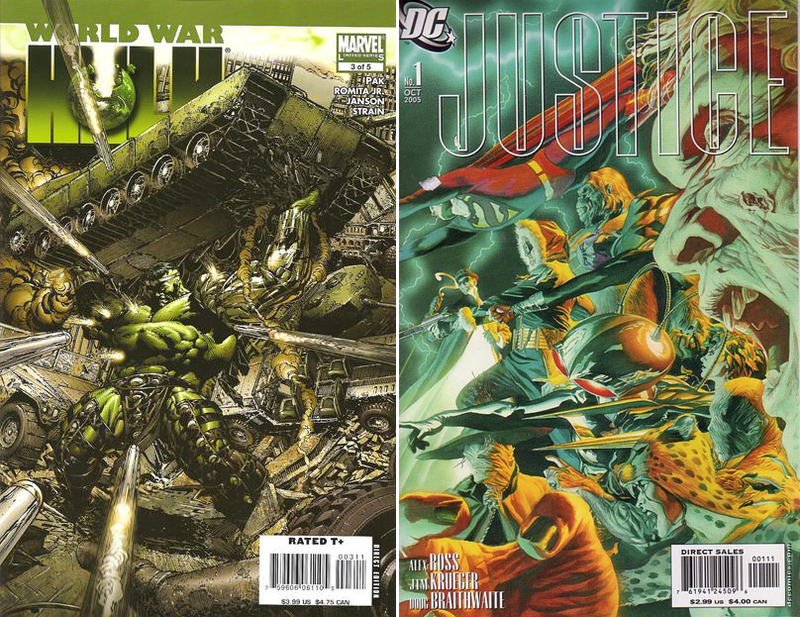 Random, I honestly think Justice would be one of the first comics I recommended to anyone wanting to get into comics. It is just to awesome for words, in both plot and art - and that's without Firestorm! Every other DC-er from Doom Patrol to Supergirl gets a look in and some of the smaller players have the biggest twists up their spandex sleeves. As for Spidey, that month that variants all seemed to walk the iPod path, but yeah pink is a new one for the wall crawler. Hey, maybe his Spidey-signal is going off in a white room and he can't find the off button? Hence the clench fist. I know I'm like that when my TV doesn't listen to the remote. I cannot recommend Justice highly enough. It manages to combine the best of the Justice League of America, SuperFriends, and Titans (sidekicks) all at once. Plus, there is a great scene that addresses the redundancy of the Elongated Man and Plastic Man, and it is really inspiring. Thanks for backing me up TKM! I actually read a random issue before bed last night (Green Arrow and friends running through the sewers) and it was still as awesome as ever, with Elongated Man included.